Yay! The awards have just been posted, and we won! August 7, 2018, “JanesHealthyKitchen.com is a leading food and lifestyle website offering practical, cutting-edge solutions for delicious meals and total wellness. Jane Barthelemy is a medical intuitive who creates out-of-the box, refreshing ways to think about a truly nourishing life. Jane invents new techniques for safe shopping, best brain foods, easy detox meals, and how to step over common pitfalls to create more energy in your day. 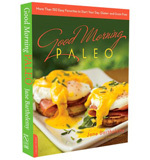 Author of two cookbooks, Jane is a Gluten-free – Paleo chef, Qigong master, health practitioner, and guide in your journey to health and vitality. Her colorful blog shares transformational lifestyle tips, ground-breaking techniques, and hundreds of luscious, original recipes for a new, vital way of living. Jane lives in Santa Fe, NM USA. “CV Magazine’s 2018 Business Innovator Awards have been designed to celebrate the trailblazers of the business sphere, far ahead of their competitors to achieve remarkable results. These awards pay homage to the commitment, determination, and skill that has been displayed by the game-changers of a variety of industries.